The nearest pop-up is about to take a road trip. If you get excited about the latest pop-up shop that’s turned up in your neighborhood, you’re not alone. Pop-ups have become a fun event for locals that might not usually have access to experience certain brands. Brick-and-mortar retail locations are struggling—they’ve seen a 20% decline in department stores as consumers turn to online shopping and digital engagement to pick the brand they want to purchase. But there’s still something special about seeing, touching, and experiencing a brand you love, or discovering a new brand that aligns with your values and interests. That’s why brands are turning to pop-ups to create a place for their audience to visit and develop personal connections. And they’ve become hugely popular. Just look at the Egg House or the Museum of Ice Cream. Hundreds of thousands of visitors screamed for ice cream (and egg) pop-ups. Today’s most successful brand strategies and marketing campaigns incorporate pop-up retail experiences. They use their unique brand to appeal to their audience’s emotions…and the social media landscape. Imagine multiplying that appeal by 5, 10, or even 50 locations. You can make that reach a reality by taking your pop-up on the road. 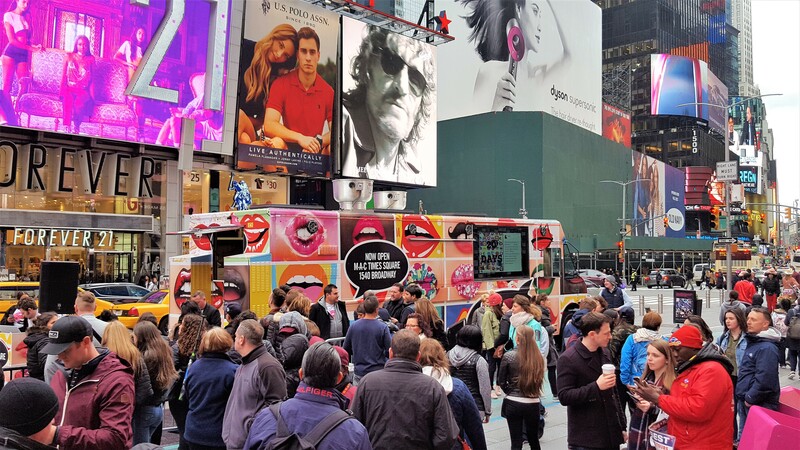 It isn’t surprising that mobile marketing activations like food truck tours, sampling initiatives, and brand experiences can be considered the ultimate pop-up. They harness the power of the pop-up, multiplied by the locations a vehicle can pop up in. A pocket-sized pop-up on wheels takes the work away from potential participants by making immersive experiences more accessible, instead of people having to seek out and travel to the experiences that appeal to them. The research done before a tour involves scouting the perfect spot for a brand’s target audience, ensuring that the truck people might want to attend pops up in their own backyard. People that might otherwise be discouraged by traveling to a static location now have no excuse to enjoy the samples, vibe, features, and treats the activation offers. At Promobile Kitchen, tours we’ve done in the past have included a campaign presence at multiple high-traffic areas from one or two cities, to cross-country tours involving events and strategic locations for different audiences nationwide. Image of the AXE pop-up...but this pop-up's on wheels! The interior of their Goldmobile featured their Gold line of products, and went nationwide. Innovative food truck companies have morphed into marketing agencies to expand their scope beyond food. Although food is a great way to implement sampling, vehicle marketing pop-up tours aren’t limited to a menu. For brands that don’t have dedicated storefronts, having a physical presence with intermittent campaigns can make an online product or service tangible for both new audiences and potential tribe members. Take a look at everything Organic Valley accomplished at their static pop-up shop, including tasting, sampling, and creative educational experiences that delighted visitors. All of these elements are aspects of the perfect activation for packing into a touring, branded vehicle. Reimagined as a mobile tour, they would have dramatically multiplied reach and the results the campaign achieved. Brands that already have points of sale can also benefit immensely by executing attention-grabbing mobile marketing campaigns to stir hype around a launch, promote new products, or complement events. The Fendi Flowerland pop-up shop could also have made a huge impact for the fashion brand at more locations than just their own show. 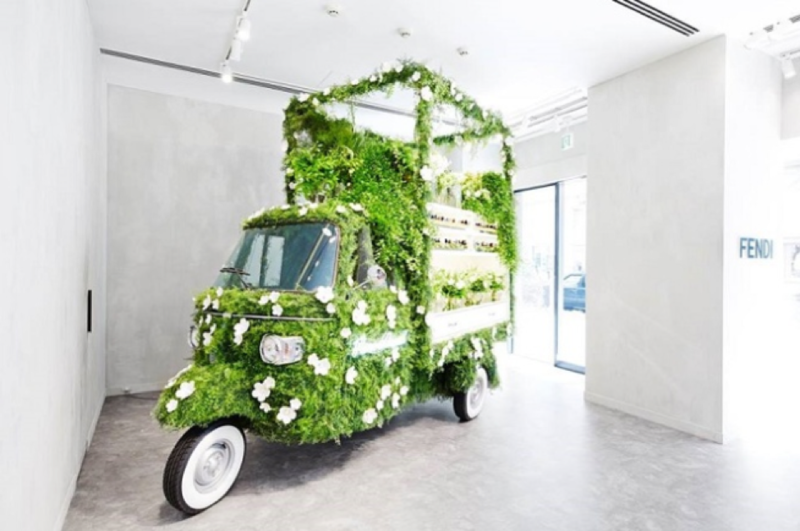 Imagine the vintage cart as a full-fledged traveling flower shop. Targeting high-traffic areas in multiple locations has another benefit beyond in-person impressions. Branded truck tours feed the social media obsession because they were made for the emotional hype. You can count on exciting events to rack up engagement on social media, especially on visual platforms like Instagram. Social reach can easily be multiplied by the thousands if even a few participants in various locations use a promoted hashtag or mention the brand’s unforgettable activation. The result? Their followers wait eagerly for the brand to pop up in their own neighborhood, or search for more information about the brand online. M.A.C. 's mobile pop-up brought beauty to Time Square...and elsewhere with #mactimessquare.